Our final day at the villa we all decided to stay put. While most of us chose to laze around the pool, my husband and our marathon-running friend challenged the general feeling and hiked down and up and down and up the driveway and beyond to look at a ruin on another hill which appeared closer than it actually was. While they were gone a thunderstorm could be heard brewing in the distance ~ our first threat of rain the entire week we were there. They were gone about three hours and never reached the ruin. It was just too far away and the storm was a little too hovering. For our final full meal my husband arranged for a complete full course dinner, again prepared by our amazing housekeeper, to thank everyone for allowing us to have the big suite because it had a bath tub. (I do love my baths at the end of the day.) During dinner we shared our wonderful memories of the week. We laughed and laughed and laughed and thoroughly enjoyed all the food laid before us. Believe it or not, we didn’t have a single scoop of gelato the entire day. Dessert was individual servings of trifle beautifully prepared and presented by Marianne’s 14 year old daughter (whose name, sadly, escapes me.) So good … mmmmm. 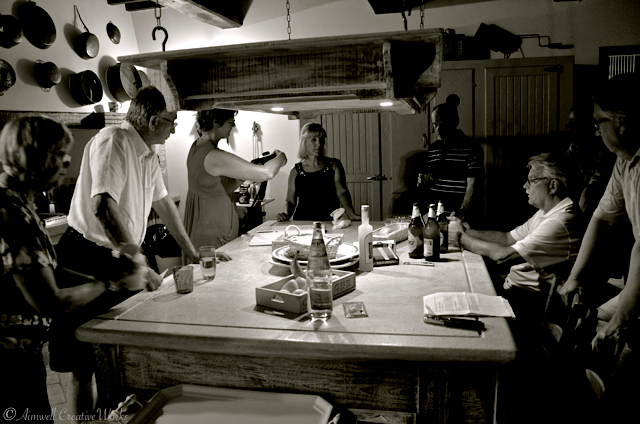 After dinner we all gathered in the kitchen to plot our separate routes to the next day’s destinations. Some were driving to Rome to fly home. Others to Venice. We were heading back to Florence to catch the train that would take us to Venice. Note the sombre faces. None of us wanted to leave. 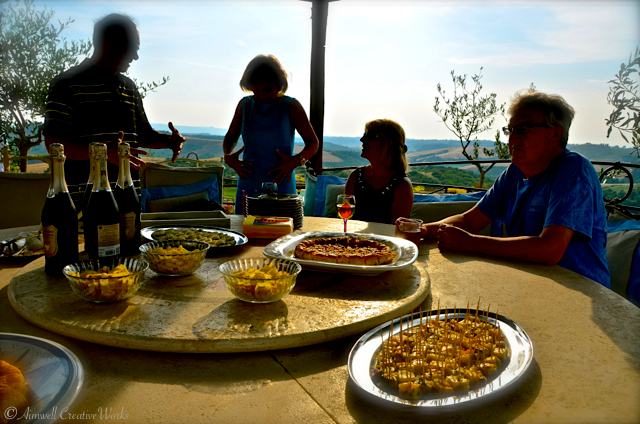 But the party was, indeed, over, and as we departed to our separate rooms and bid each other a safe journey home (some people had alarms set for 4 a.m.) we all agreed that this had been the best vacation any of us had ever experienced … and that we would miss the pool. 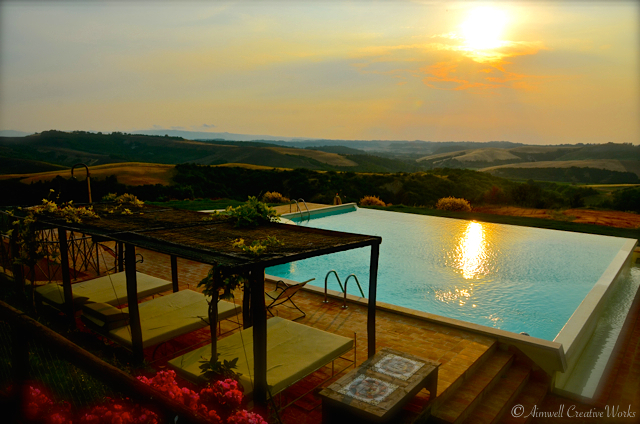 We had a wonderful week at “our” villa in Tuscany. 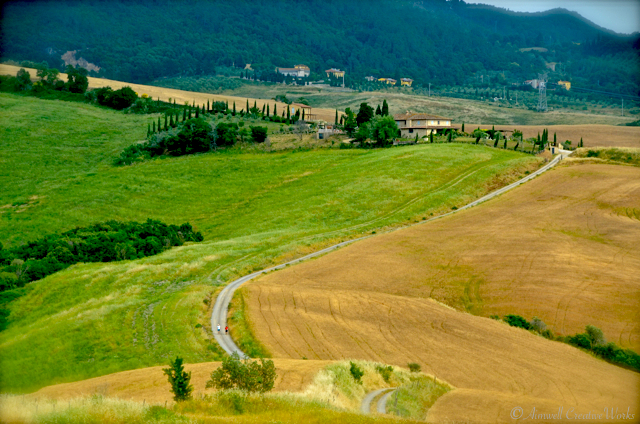 This entry was posted in Italy, Photography, Travel and tagged Aimwell CreativeWorks, Dorothy Chiotti, Italy, Photography, Travel, Tuscany, villa. Bookmark the permalink.